Long term readers of this blog, will notice, that I keep returning to the short Greenford Branch Line in West London. It runs between West Ealing and Greenford stations. 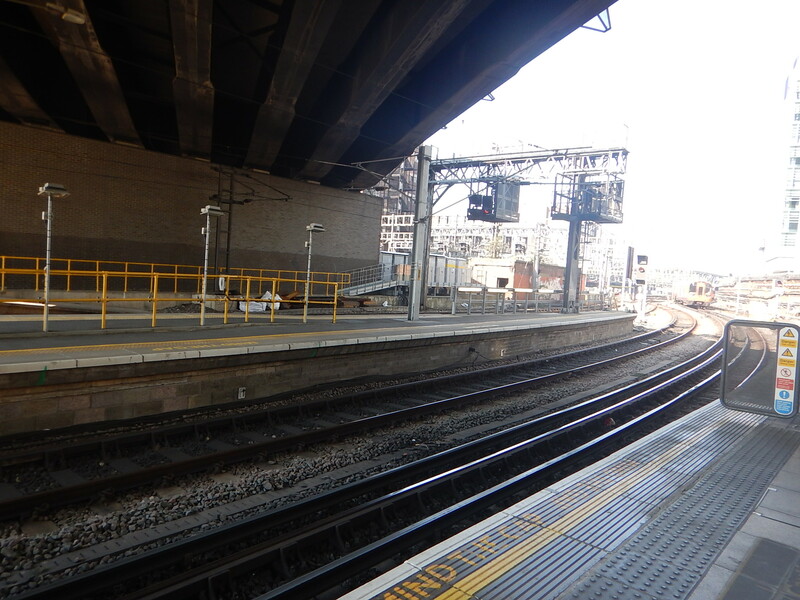 Greenford station is step-free and West Ealing station should be by December 2019. It is mainly double track, with a short length of single track at either end. Two trains per hour (tph) is provided by a single Great Western Railway (GWR) Class 165 diesel train. It will be a valuable feeder route for passengers to and from Crossrail, which is rumoured to be opening to Reading in December 2019. An opening of the Western branches of Crossrail between Paddington and Reading would bring the following services to West Ealing station. Two tph shuttling between West Ealing and Greenford is a bad match to the future ten tph on Crossrail. This would obviously be ideal, but is it possible? 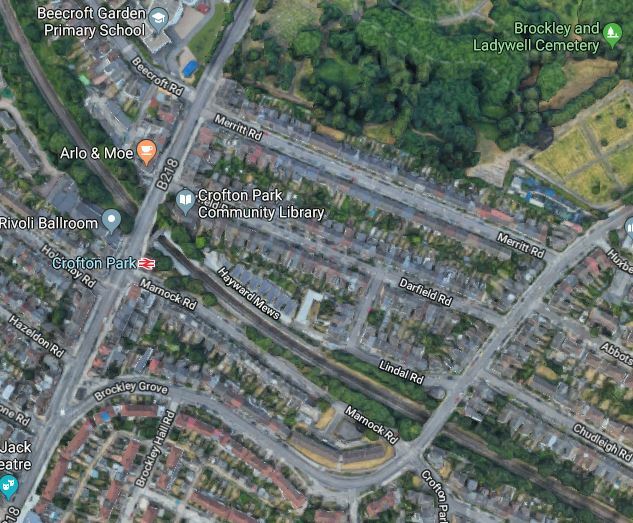 This Google Map shows West Ealing Junction, where the Greenford Branch joins the Crossrail tracks alongside the Great Western Main Line. Note how the two tracks of the Greenford Branch Line start in the North-west corner of the map. They join into a single-track , which passes under the footbridge. The tracks then split a few metres to the East of the bridge. The Northern track goes into the bay Platform 5 at West Ealing station, which must be over eighty metres long. The Southern track joins the Crossrail line towards Paddington. The track layout allows the ocassional refuse trains to pass along the Greenford Branch Line, but would also allow four tph to be run into the bay Platform 5. This picture shows the current state of the step-free bridge at West Ealing station. 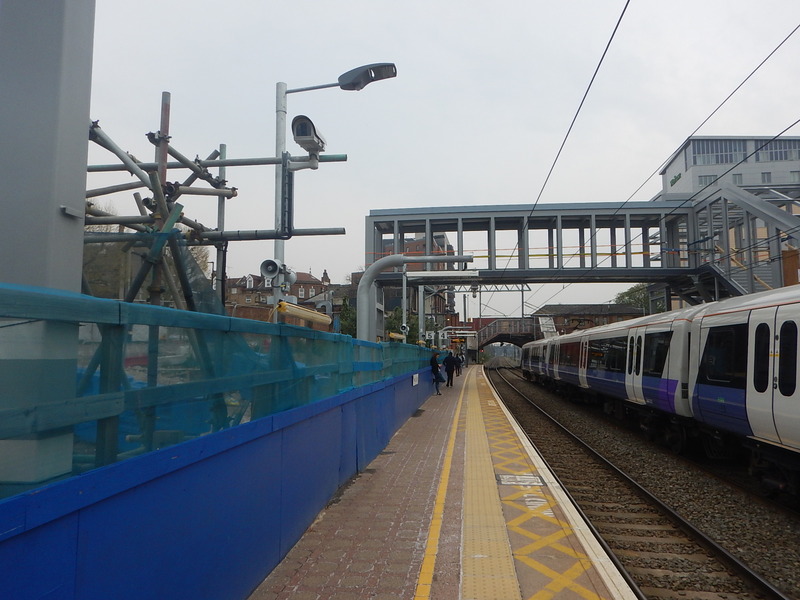 Once this bridge is complete, probably later this year, West Ealing station will be ready for four tph to Greenford. The simplest safe operation would be for an incoming train to West Ealing station, to wait at Drayton Green station, until it was passed by the outgoing train. Once the points and the signals were set, the incoming train, would move into West Ealing station. 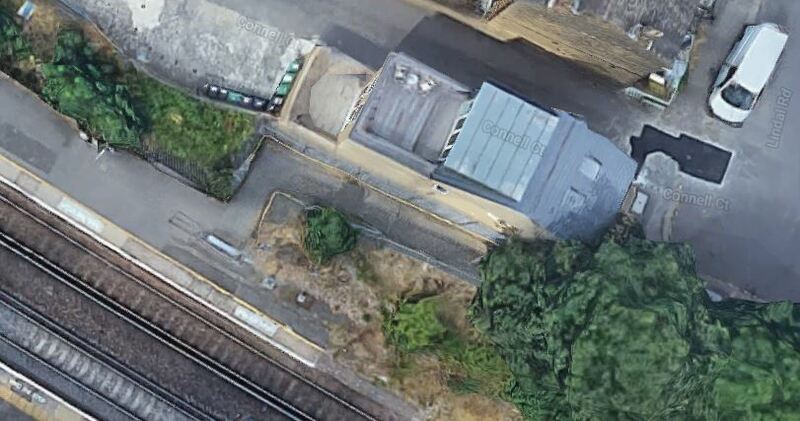 This Google Map shows the lines at the Greenford end of the Greenford Branch Line. Note how the two tracks of the Greenford Branch Line start in the South-East corner of the map. They join into a single track. After a few metres, the tracks split into two. The Western track dives under the Westbound Central Line and goes into the bay Platform at Greenford station. The Northern track goes under both Central Line track and joins the Acton-Northolt Line. It would appear that the track layout is designed so that four tph can work into Greenford station. The current Class 165 train works the line well. 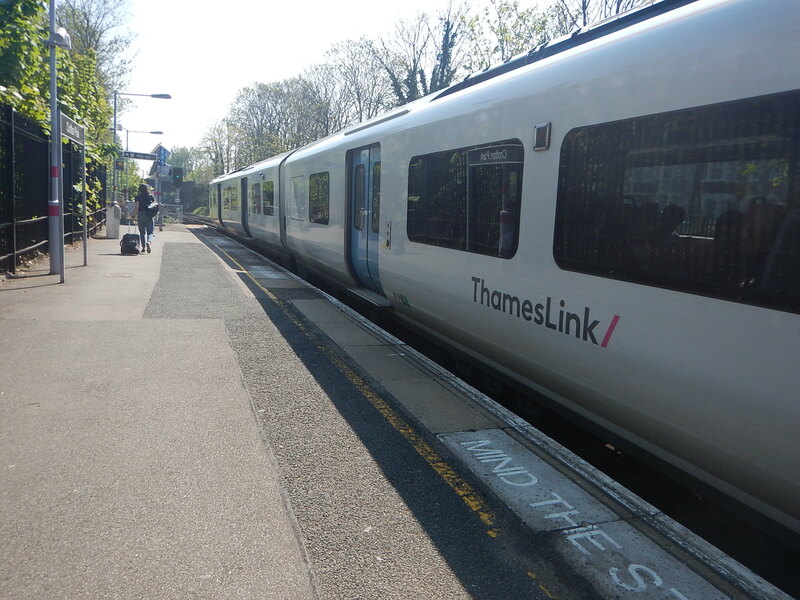 At 45 metres long the train fits the short platform at Greenford station. I estimate that in a month, the train does about 5,400 miles. Bu as the only GWR diesel train, surrounded by large numbers of electric trains, the Class 156 train probably has to trundle some miles to be serviced. In an ideal world, the train would have the following properties. Less than fifty metres long. Ability to be serviced locally. 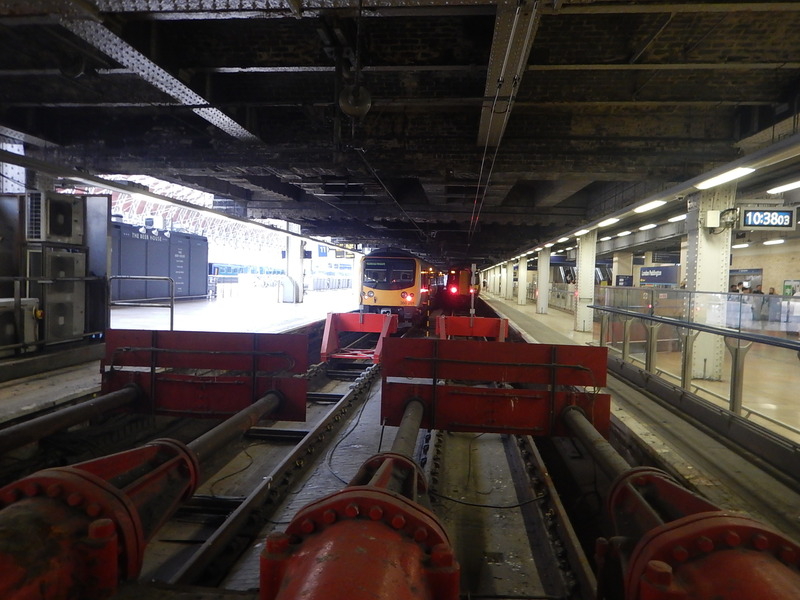 To look after the trains and hold the spare train, a convenient facility will be needed. 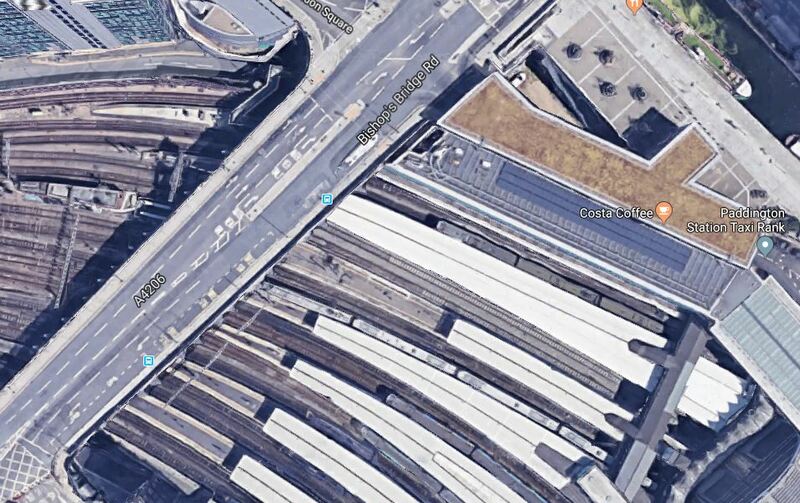 This Google Map shows the wider area around West Ealing station and West Ealinging Junction. 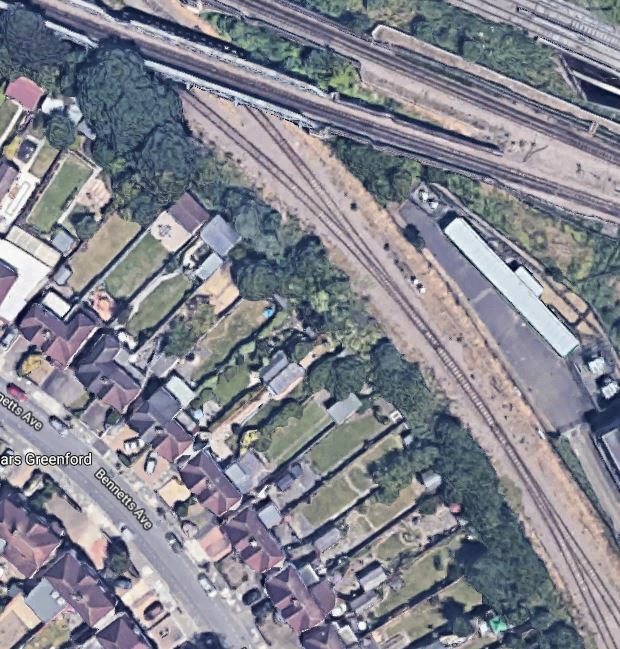 Note the sidings between the Great Western Main Line, the Greenford Branch and the Plasser UK factory. These sidings are where GWR stable some of their Class 387 trains. But if the rumours are correct, that Crossrail is going to take over London to Reading services in December 2019, GWR will probably have less use for this facility. It would surely, be an ideal mini-depot for the Greenford Branch Line fleet. A refuelling facility could be provided, if necessary. I a passenger service were to be started on the Brentford Branch Line, that is only a few miles away. There may be a small amount of trackwork needed for efficient operation. Did A Small Revolution Start In Bedford Yesterday? In A First Ride In A Revenue-Earning Class 230 Train, I wrote about my ride in the first Class 230 train to enter public service. This was the conclusion to my poat. It is a well-designed train, that impressed me. It should find a niche in the train market. The fact that the train is in service, will in itself provoke interest from train operating companies and Councils and other groups promoting new or reopened train services. I wouldn’t be surprised to see more orders this year. So will a small fleet of Class 230 trains be coming back to London, where they spent the first nearly forty years of their working lives? The Class 230 train is the right size. The Class 230 train is a quality train, with an interior, that can be tailored to the route. Servicing can be organised locally. Diesel or battery power is available. A fleet of four trains would provide the following services. Four tph on the Greenford Branch Line. One tph on the Brentford Branch Line. One train would be spare. Transport for London is probably very happy with the current service on the Greenford Branch Line, as it is not their responsibility. If Crossrail opens to Reading in December 2019, I suspect GWR will look at this leftover from privatisation as a increasing nuisance. The Wikipedia entry for the Class 230 train has a section on Cost Comparison. Using the figures for a Class 150 train, GWR are spending about 14,300 pounds a month, plus staff and fuel to provide the current service. Three Class 230 trains providing a four tph service would cost an operator about 25,300 pounds plus a month, staff and fuel. How much extra revenue for Transport for London, would a four tph service on the Greenford Branch Line generate, if Crossrail were to open to Reading? I have no evidence, but after my ride yesterday, I feel that Class 230 trains could transform the economics of rail services in West Ealing. Bring a small fleet of Class 230 trains home! And while you’re about it, reopen the Brentford Branch Line to passenger trains with an hourly service. When I heard that London North Western Railway were running a new Class 230 train between Bedford and Bletchley, I just had to go. I regularly used the D78 Stock from their introduction in 1980 until their retirement in 2017. In Raw Material For A New Train, I showed a few pictures of one of the last D78 Stock trains to be in service. The picture with the orange doors shows a Class 378 train, at the same platform as the D78 train for comparison. The trains have certainly undergone changes with new wndows and a new interior, but some components like the longitudinal seats, appear to have just been refurbished. But the Class 230 train has retained the well-lit feel of the D78 Stock. Passengers come in many different types and the interior has been well-designed to cope all types of passengers who might use the train. As it also takes clues from other trains, that work on high-capacity routes, I feel it would cope well if on perhaps a weekend, there was some form of event or festival. Vivarail have retained some of the old London Underground longitudinal seating, which must be unique in the UK outside the London Underground/Overground and the Glasgow Subway. But it does seem to fit in more seats. To me, seat comfort is all important, as I have a posterior that objects to certain seats, like those on Thameslink’s Class 700 trains. But these seats were fine, despite the fact they looked like the dreaded Thameslink seats. But then perhaps the padding is different! 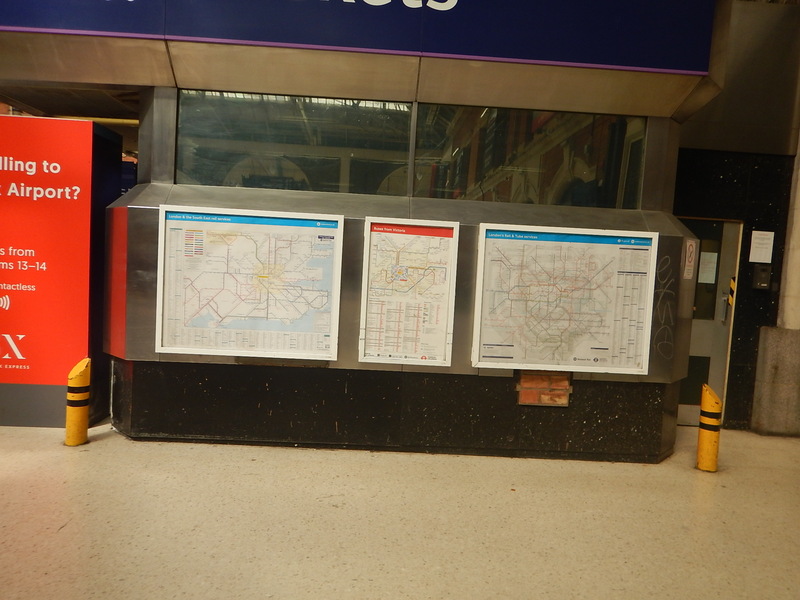 LNWR have chosen to fit several tables in these trains, which were big enough to lay out a tabloid-sized newspaper. Wi-fi is fitted to this train and there were numerous power and USB points. The latter were in the armrests of the longitudinal seats, which in my view, is the obvious, if not essential place. Other train manufacturers please note! Passengers don’t generally rave about the quality of the ride in Underground trains and I would generally describe the ride of the average Underground train as workmanlike. But then I’ve been riding Underground trains for at least sixty-five years and a modern S7 Stock train, is so much better than the 1938 Stock trains I can remember. The ride of the Class 230 train is unfussy, surprisingly quiet and it still has that workmanlike quality of forty-year-old Underground trains. Without doubt though, the ride and especially the noise is much better than the Alstom Coradia iLint, that I wrote about in My First Ride In An Alstom Coradia iLint. 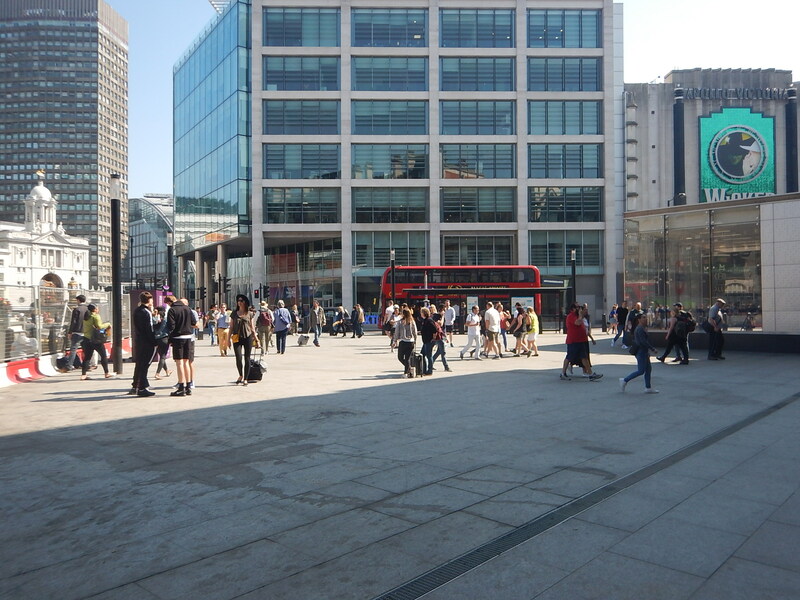 The two diesel engines beneath our feet, were not any more noticeable, than the engine on one of London’s Routemaster buses. I would expect that High quality noise suppression techniques have been used. Using the |SpeedView app on my phone, the train seemed to trundle on happily at around 45-50 mph. The passengers seemed to be fairly pleased with their new train, and several said it was better than the single car Class 153 train. A Senior Manager from LNWR, also seemed pleased with his new train. The Norwich-In-Ninety trains are now visible on the National Rail timetable. Norwich-In-Ninety trains leave London at 11:00 and 19:00! The current times of the 11:00 train are as follows. Those of the faster train are. I can remember in the 1960s, the diesel service was advertised as two-hour two-stop between London amd Norwich. Norwich-In-Ninety trains leave Norwich at 09:00 and 17:00! The current times of the 09:00 train are as follows. Note that the current Southbound services are slower than those going North. For part of my trip back from Ipswich today, I was following the linespeed using the Speedview App on my phone. Between Kelvedon and Hstfield Peverel the train averaged around 100 mph. It then slowed to 60 mph through Chelmsford. By Ingatestone, it was up to 90 mph, before slowing for 60 mph through Shenfield. There seemed to be some checking from a slower train, but at places into Liverpool Street it was up to 80-90 mph. The Norwich-In-Ninety improvements certainly seemed to have helped. It certainly left me with the feeling that the elderly Class 90 locomotive and Mark 3 carriages could achieve Ipswich to Liverpool Street in around an hour. These four services are probably just the start. These four services can probably be achieved with one train. Although, Greater Anglia will be running the initial service with Class 755 trains, the company has ten Class 745 trains on order. The only thing so far disclosed, is that the Liverpool Street and Norwich service will go to three trains per hour (tph). It should also be said, that the design of the new trains and their power, should make station stops much faster. But what pattern of stops will be performed by the three trains?